Ticket and table sales have closed! Please check back early next year for details regarding the 2020 Lubbock City Lights Gala if you were unable to join us this year! All tickets include entry to the gala, a meal, and a starter chip pack for our casino tables. The event will include a live and silent auction, casino tables, live performances, and a TTU vs. Michigan watch party. All proceeds from the event and the auctions will go to the four charities we are supporting this year. Attire is black tie optional and masks are encouraged, but not necessary. Lubbock City Lights does reserve the right to deny entry without refund if you choose to arrive more spifflicated than spiffy! The student Early Bird Special will end on March 15th, at which point student ticket prices will increase. These tickets are intended for members of the Lubbock community who wish to join the TTUHSC School of Medicine in supporting local Lubbock charities. Larger organizations or groups may want to purchase tables rather than individual tickets. Table prices include two drink tickets per person. 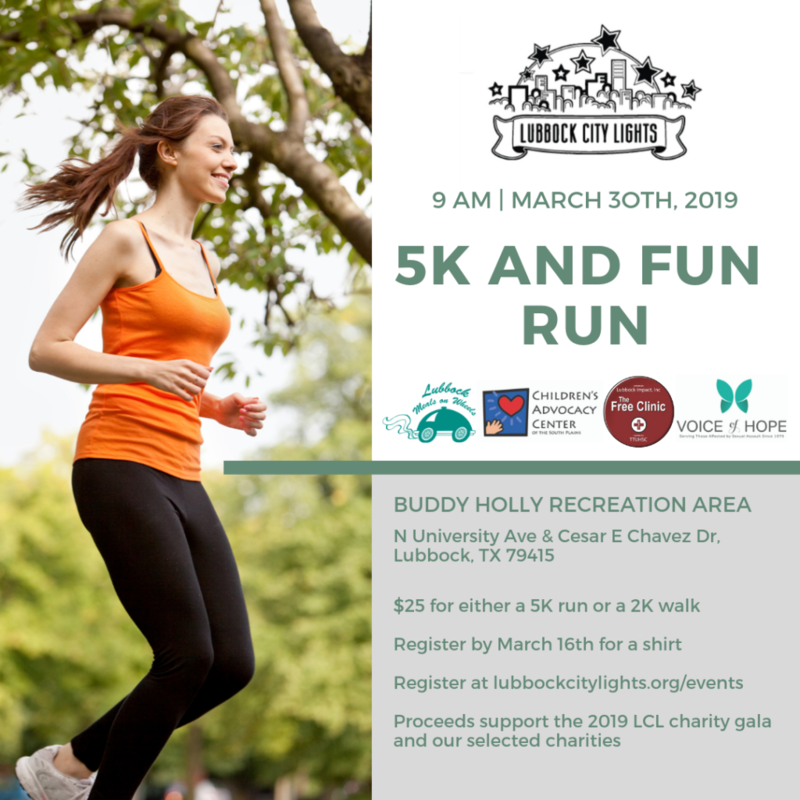 Lubbock City Lights has partnered with the TTUHSC Raider Med Run Club to put on a 5K/2K run to support the LCL Charity Gala and our chosen charities. This event was a huge success and we hope to may it a recurring affair. If you missed out this year, or had a blast and want to participate again, please stay tuned to our social media and website early next year for information!